New York City is an urban archipelago comprised of over a dozen islands. 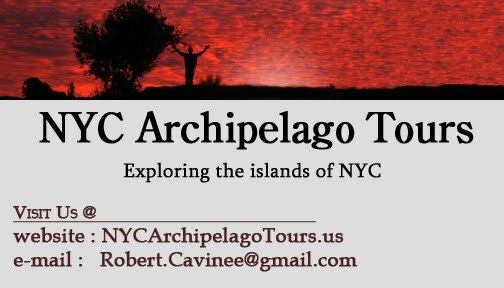 NYC Archipelago Tours is Robert Cavinee's tour guiding business offering a unique way to explore the worlds greatest city through its rich nautical heritage. If it is your first visit to the big city or you are a busy New Yorker looking for an escape from the urban grind, you deserve to explore the BEST of New York's islands; do it with us! 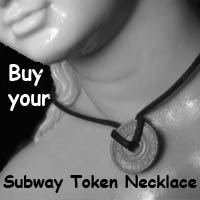 Or join us by wearing your Subway Token Necklace get yours on our products page. Contact us so we can help you build an exciting adventure. This site has many pages each with sub-pages and additional information. Best of the New York-Discover the best businesses and activities in the city. The NYC Explorer's checklist- THE things to do in New York.